Most builders try to build their Velocity with as few screws showing as possible. I’m doing the same thing. For the Nose Access Cover I’m installing a quick release mechanism that operates from inside of the cockpit. I’ve purchased the mechanism from McMaster-Carr and eventually the installation process for that mechanism will be documented on this page. The factory pre-molds the location of the access cover. They also supply the actual cover, even though it needs to be cut down and trimmed to fit. Here’s what it looks like before doing any work on it. 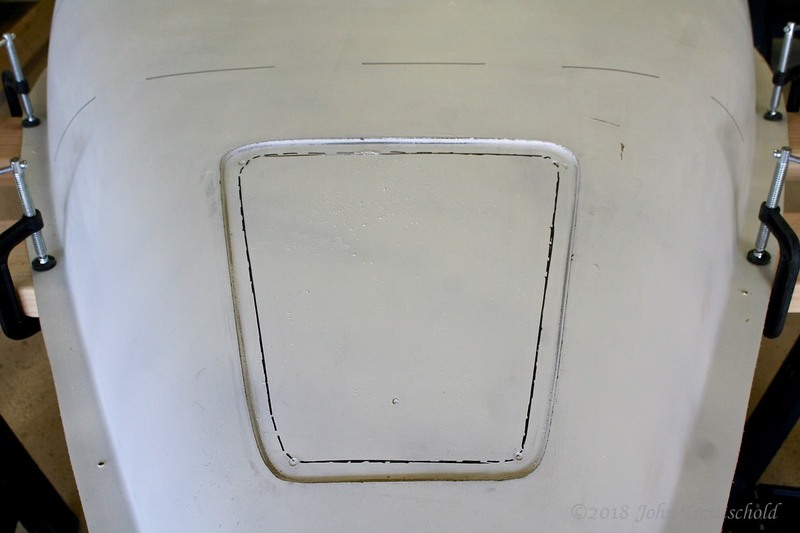 An access hole needs to be cut in the top front of the fuselage. This is how it comes from the factory. The next step is to trim the actual cover. 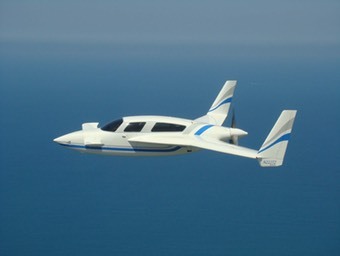 It’s made out of carbon fiber which is really tough material. In fact, it totally destroyed the teeth on the saber saw blade I used for trimming it and partially melted the metal! But blades are cheap and it didn’t take too long to complete and cut. Once the cut was complete I sanded and sanded and sanded to get it to fit as nicely as possible. Here's the actual cover, made out of carbon fiber, being trimmed. 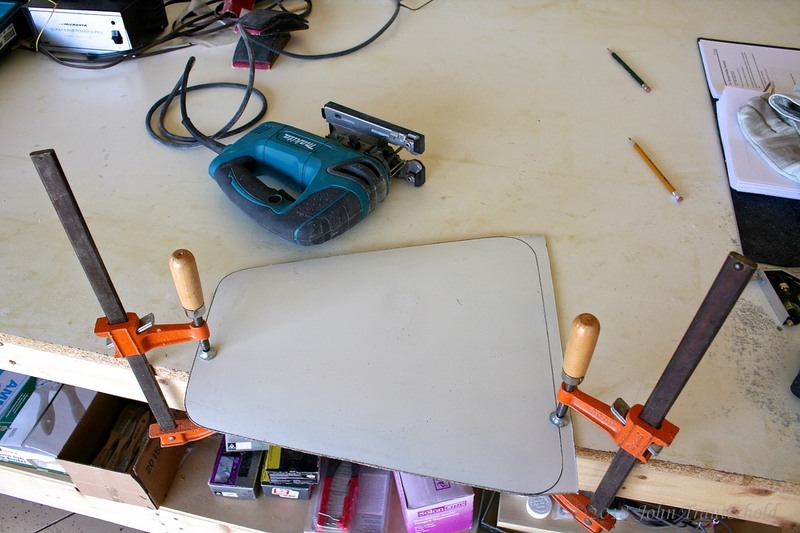 A flange is needed for the cover to rest on and the manual recommends a 5/8” wide area. So that’s what I marked. Since this is made out of fiberglass it was much easier to cut without trashing another blade! Here I've marked the area that needs to be cut out for the access hole. 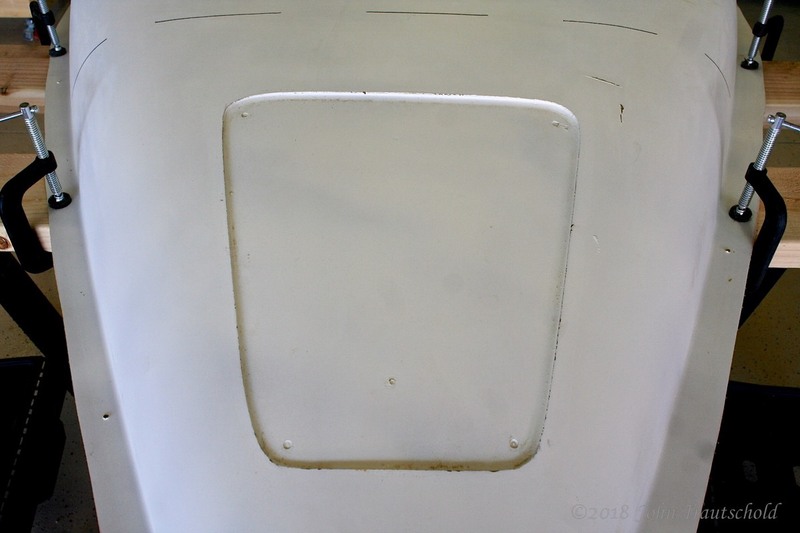 The factory recommends that the access cover just get screwed down to the fuselage but many builders have come up with a method to latch it in place without any screws showing. I’m doing the same thing. I purchased a double latch mechanism from McMaster-Carr. The first step is to install the latch strike plates. Of course, I don’t want them screwed down either so I used epoxy and some BID lay ups to help hold them in place. I also had to raise them a bit with some foam to get them at the right height for the latch pins. I've added added the strike plates to the cover. You'll see how this works later when I epoxy in the latches themselves. More to come for this process later! 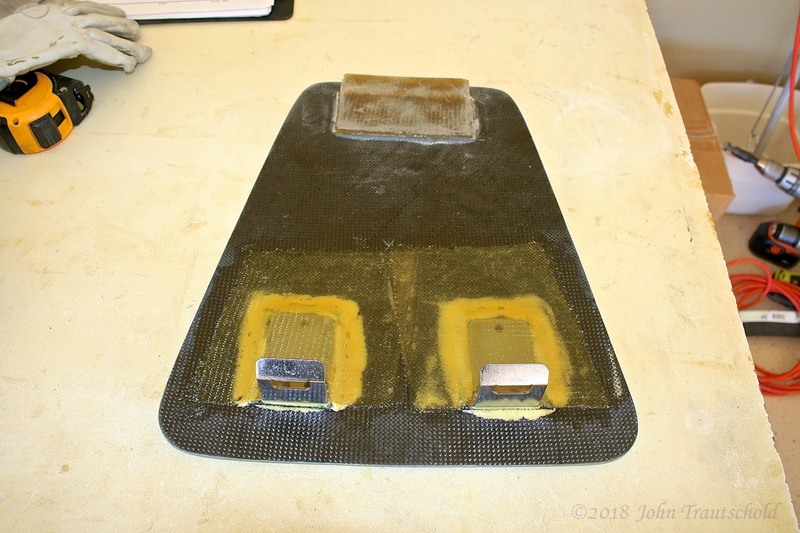 But for now, time to move back to the lower fuselage section to install the rudder and brake pedal system. Click here for that!